If there is one thing you take away from me today – it’s that TARGET HAS AMAZING SHOES FOR CHEAP. Phew! Ok – now that I got that off my chest, I want to tell you about these amazing booties that I just found online. I mean, STAPH! 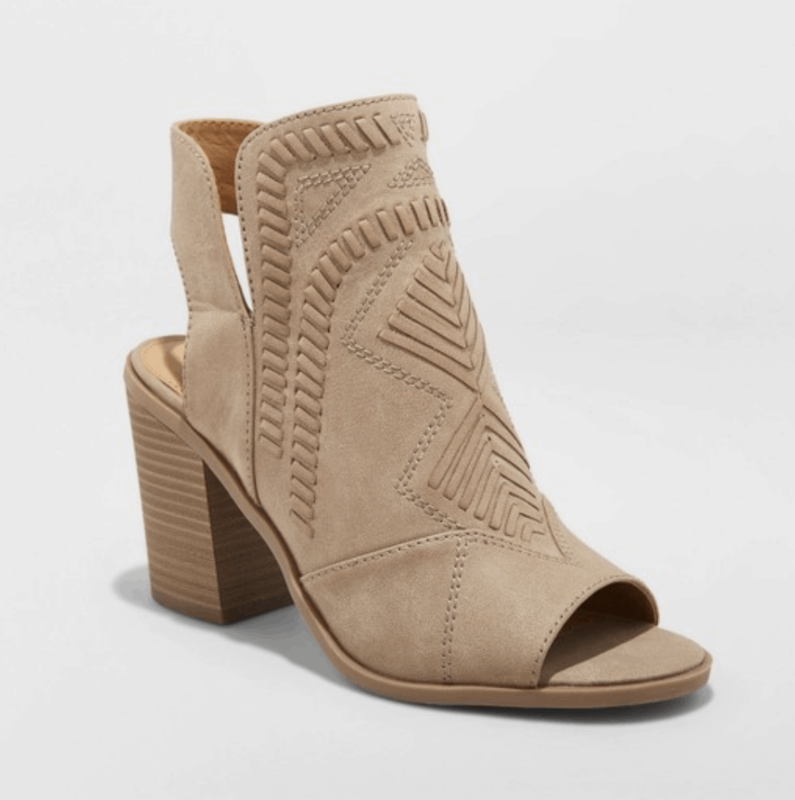 They are too cute, neutral, go with everything, and under $40! Can you stand it? Most of my flats and booties are from Target and no one knows the difference. I’m all about finding stylish pieces for less. If you had to put one motto on my body, that would be it. I love to shop and I love variety. But I don’t want to spend all my hard earned money. So, you have to shop smart. Even the kid’s section never disappoints. Seriously, start looking now and see what goodies you come across. You will be happily surprised!